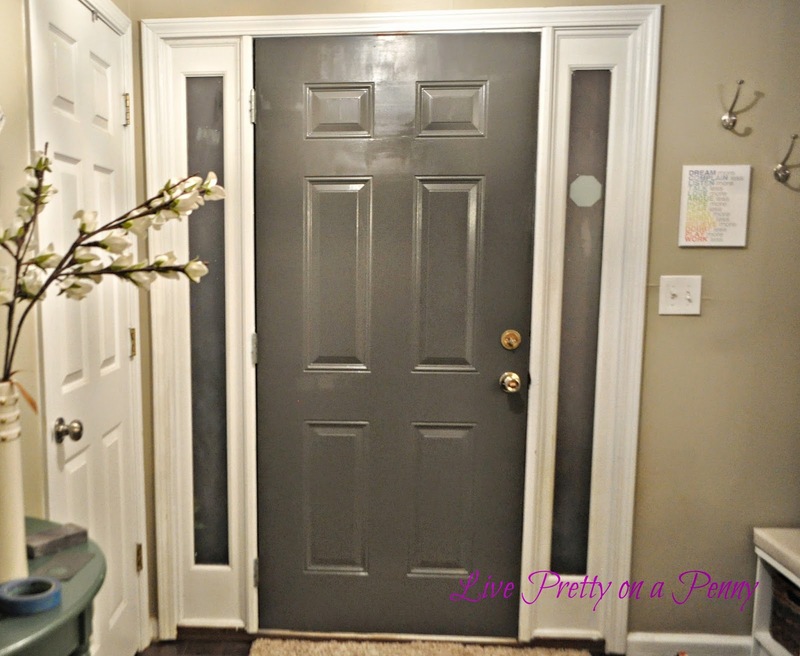 For the past several months, I have been seeing so many examples of beautifully painted black interior doors, and I decided that I possibly wanted to give it a shot. 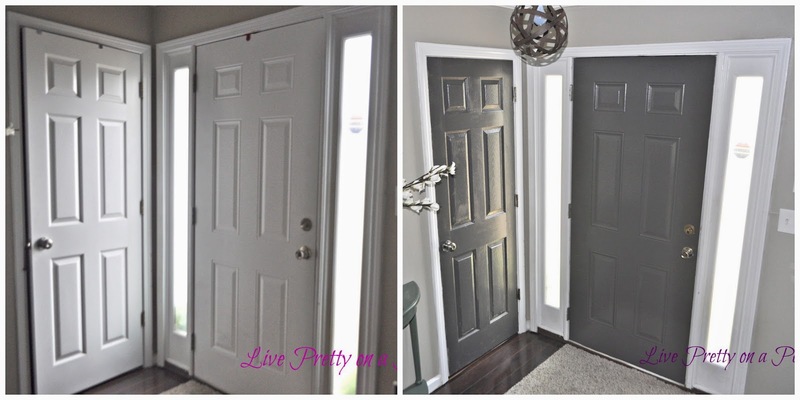 I love how a painted door can make simple builder grade doors look more custom. Yet, for some reason, I just couldn’t bring myself to take the plunge! If I had to guess, the reason was because sometimes my doorway is kind of dark and I felt that the dark door might appear somewhat dungeon like. 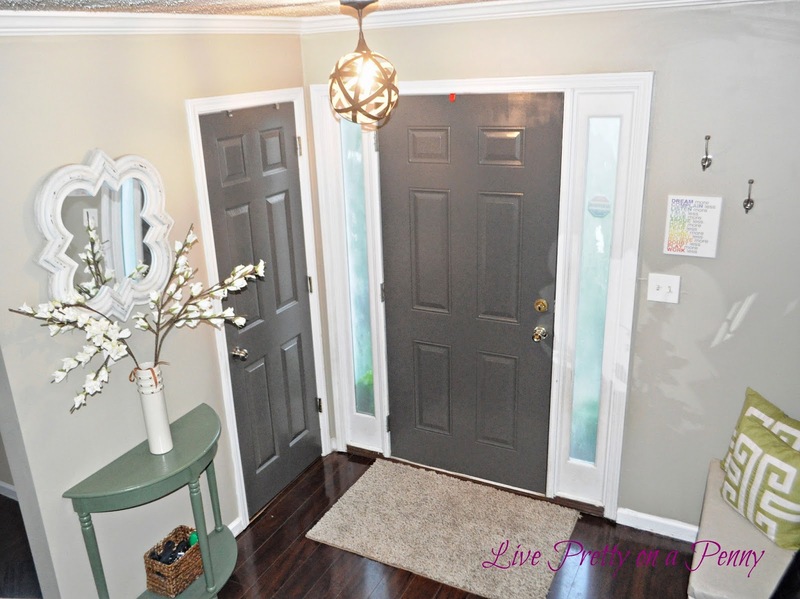 So I thought about it for a while, went back and forth looking a different pictures of painted doors, and decided that instead of black, I would go with something a tad bit softer. Here is my interior front door before getting painted. My interior door along with my front coat closet. After looking at several samples, I decided on Thunder Gray by Sherwin Williams, which is a latex paint. It’s the perfect dark & stormy color, and goes on in a deep gray/ brown color. 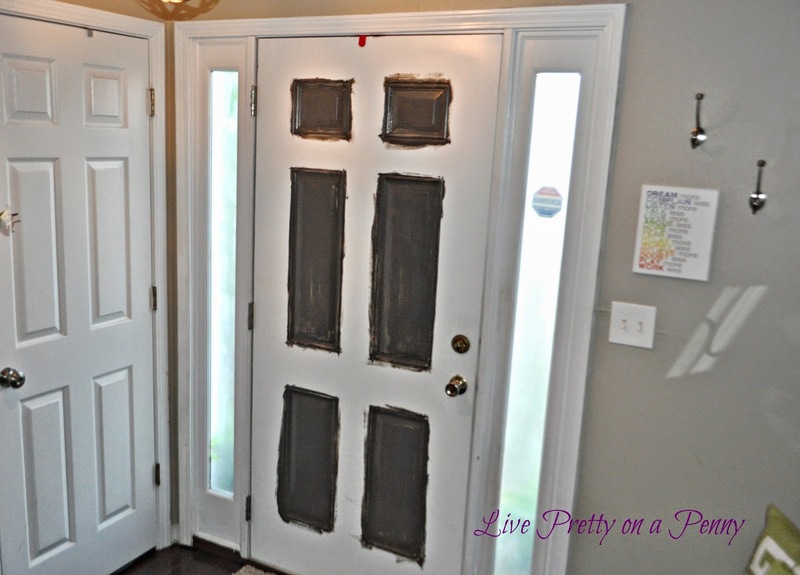 I was able to use latex paint on my door because the door was painted with a latex paint. If the paint on it was a oil based paint, I would have had to use an oil based paint to cover over it. The best way to test what type of paint is on your door is to use a cotton ball with pure acetone on it and dab it in an inconspicuous place on the door. If the part that you test feels kind of sticky or soft, then it’s latex. If not, then its oil. Easy. 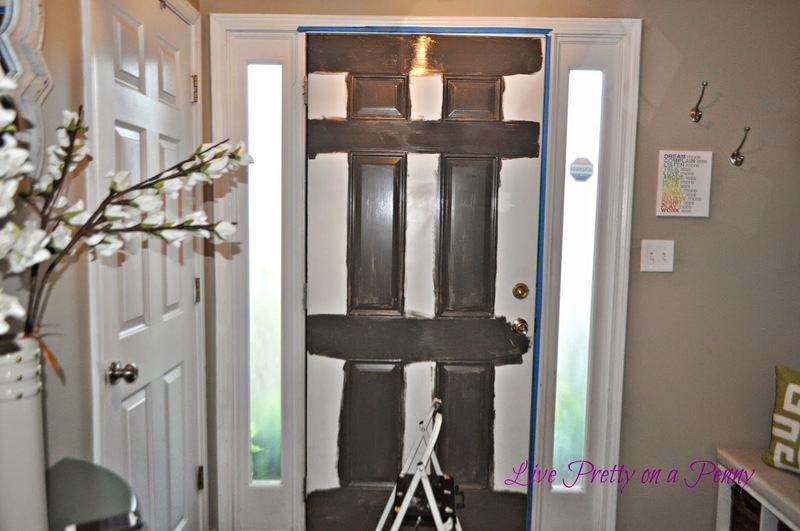 Once I discovered that my door was was painted in latex, I purchased a quart of paint and primer in one in a semi-gloss finish, and got to work. First I wiped the door down using a vinegar/water mix and a towel. I let it dry, then found a diagram online and began painting based on these instructions on Better Homes & Garden website. I then decided to add painters tape around the molding of the door to keep away any mistakes. I definitely suggest the same. And after 3 coats using the steps above, here is the finished product! After I finished, I decided to paint my coat closet door as well. The white door next to the dark seemed off. 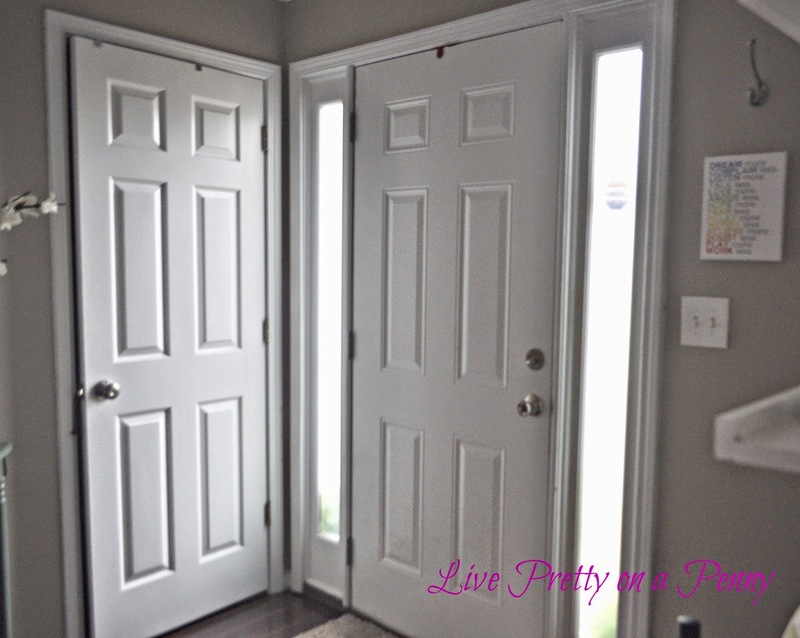 So happy that I curbed my fear and painted my doors. 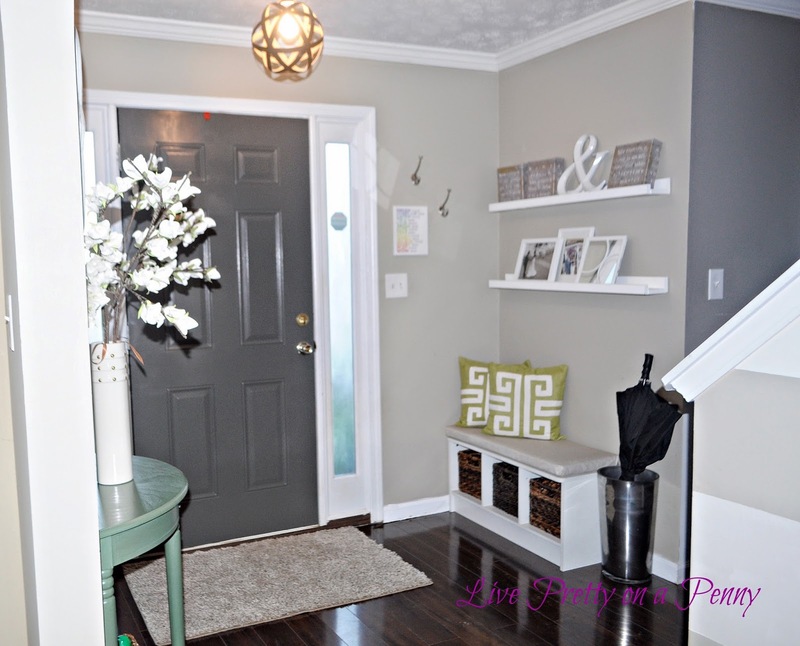 I love the look that the darker doors add to the entryway. A few times I had to look at the door twice because the darkness gives the appearance that the door is open. I still do it from time to time, but I have gotten used to it. 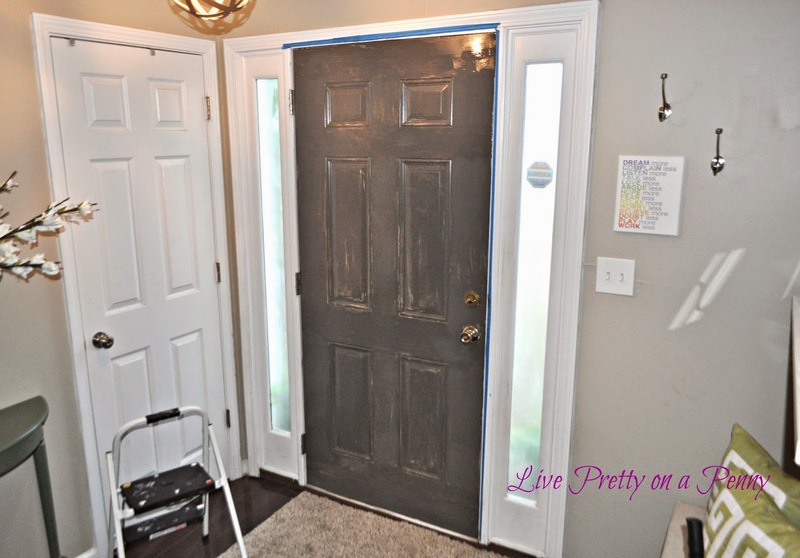 This project is easy and can be done in a few hours, as you have to allow dry time in between each coat. The doors look very nice! I just love all your decorating! That looks really great Erin! 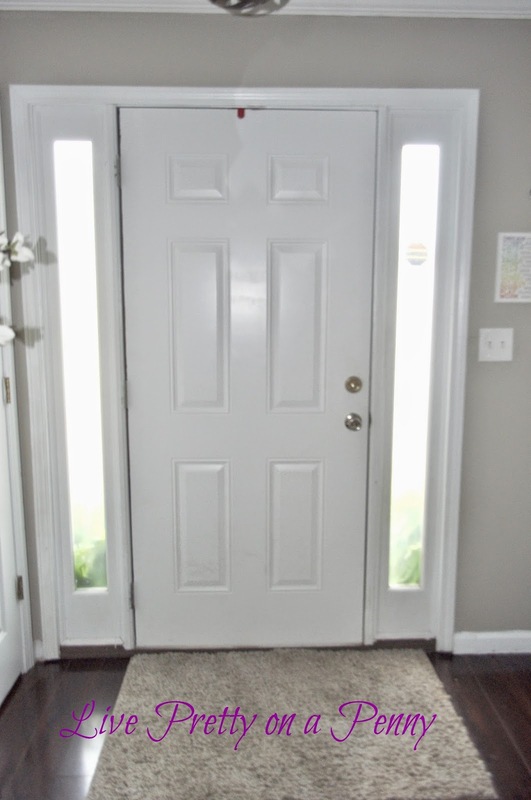 I am thinking about painting my front door, on the outside, but Like you I have been hesitant. Thanks Keoshia. I say go for it. We painted our exterior door black a few years back. Very easy! 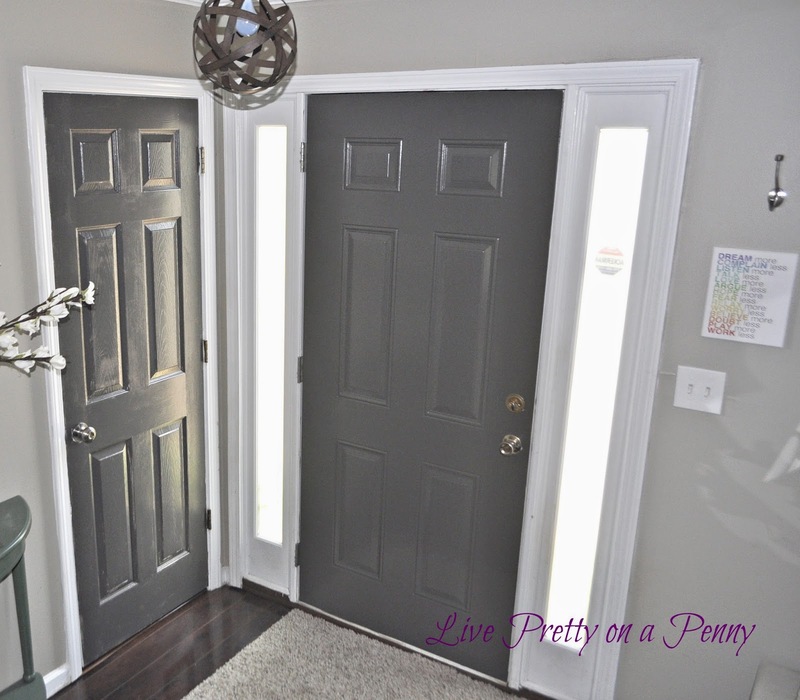 I agree, I think the grey is a more subtle look versus painting the doors black. I love the look of the doors now. Thanks Dee D. I am very glad that I went with this route. So happy with how it turned out. I'm glad you decided to paint the closet door too. They both look great. I love that color. This looks gorgeous. I love the contrast with the added dark gray. It looks fabulous! I love the stormy gray. It's the perfect color for your doors! Looks fantastic! We painted the inside of our front door a rich chocolate years ago, and I have never regretted it. L-O-V-E this! Seriously! It looks great. So chic and modern. 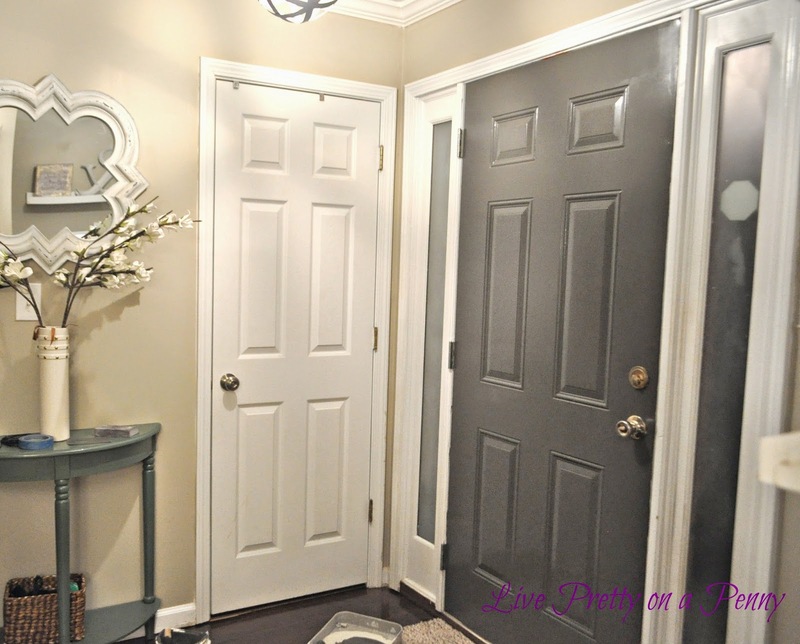 Now I want some painted interior doors!